You DO NOT have to take on the work of any staff on strike, even if pressured. Continue to act within your role & duties. 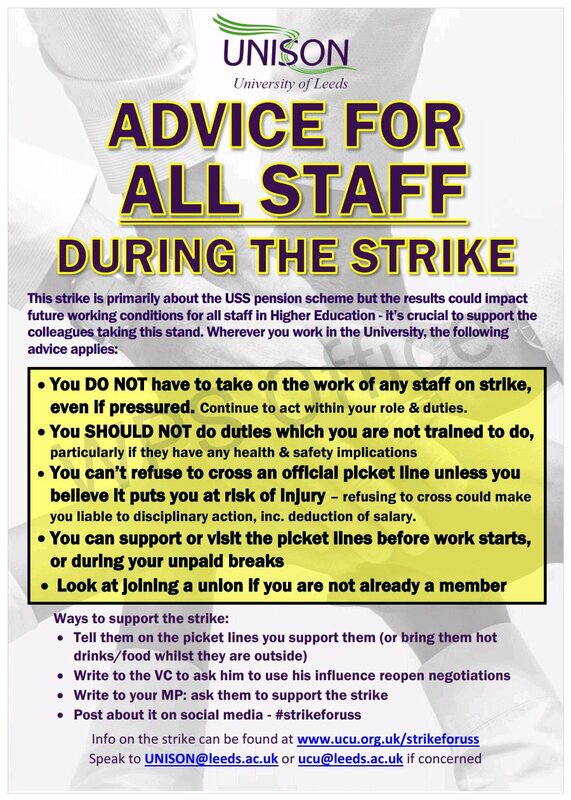 You can’t refuse to cross an official picket line unless you believe it puts you at risk of injury – refusing to cross could make you liable to disciplinary action, inc. deduction of salary.